Valerie Snobeck’s work in Block Optic with Rope confront a framework of references and associations, a material significance and a visual situation. They deploy debris netting, partially removed mirrors, peeled prints on plastic, and depression glass. They are experiments in transparency, testing what it means to see an object and see through it at the same time. What are the affects of focus shifting from negative space and back again? The works are never static, never solid, one can always look through them, look past them, at oneself looking, and behind, searching for that same picture within the frame and you end up staring at the wall. The works astutely confuse front and back. The “images” are behind the frontal face. The loose surplus of excess netting, normally hiding behind a traditional painting, is still blatantly visible. 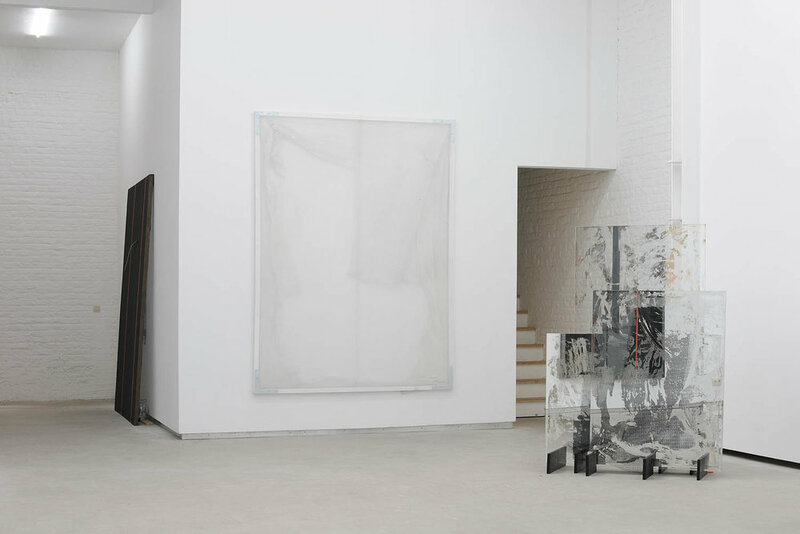 Held by tension between glass, netting, and wall are fragments of peeled plastic prints. A technique developed by producing inkjet prints on board, then having them laminated, then slowly and carefully peeling away the thin plastic tissue paper like laminate, a ghosted trace of the image transferring onto the plastic. These plastic peels are circulated and recycled throughout the work. They are occasionally torn and thus multiplied, and recure like traces of a trusted palette. 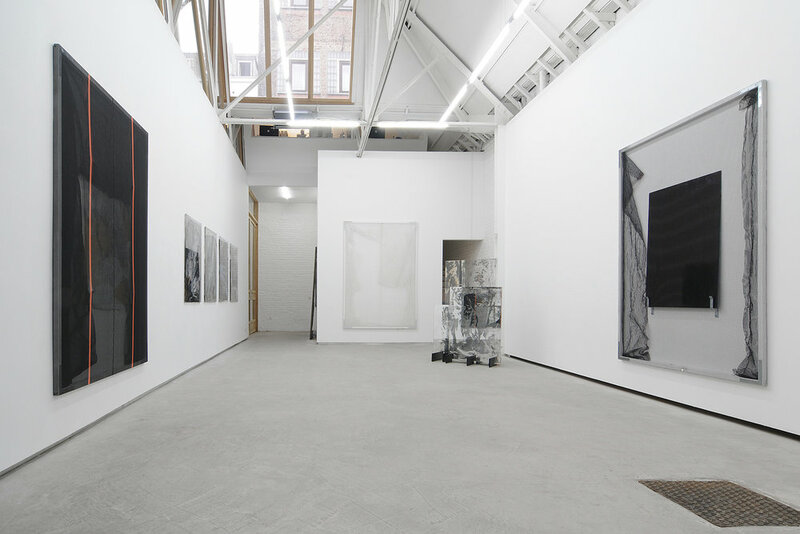 The peels contain images fragmented and removed from the source, some just traces of their referent at this point, but still possessing a graphic. Work and wall are so close, mesh and its shadow, diffusing into an almost solid plane, vibrating off one another. Taking structural facts and allowing for a direct engagement with the neutral while searching for the potential to find something that is not.